This is a portable CO2 Charger for Cornelius Kegs. Uses FOOD GRADE 16 Gram CO2 Cartridge Refills. 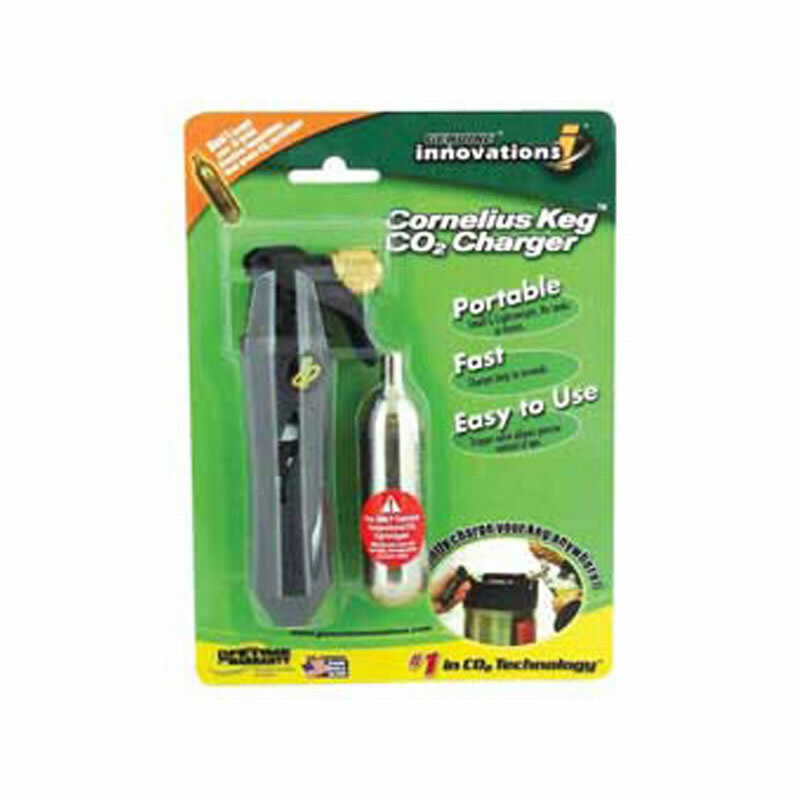 Great for taking your keg to parties and on the road with you and not have to lug around your CO2 tank and regulator. This Charger comes with instructions and one CO2 Cartridge. The charger screws on to a standard threaded Ball Lock Disconnect or Pin Lock Diconnect. Beware of systems that use 12 Gram CO2, many of these cartridges contain oil and are not food grade!